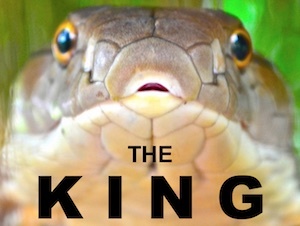 King cobras are very rare in the wild. I’ve only seen less than a dozen in the wild in 10 yrs of looking. 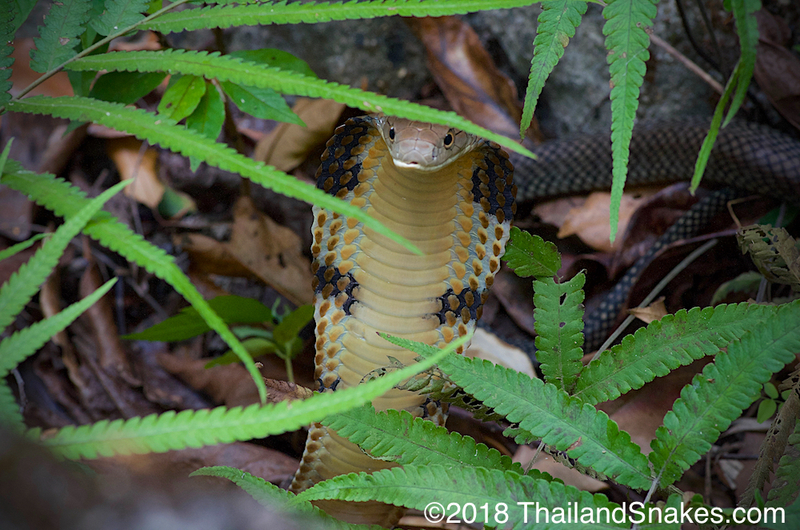 Snakes are not everywhere you step in Thailand, it is actually rare to see one. I found this note about moving to Thailand and what to do about safety from snakes in the comments section and decided to make it an article to help more people. Hi. Thank you for this great site! I am from Canada and moving my family to Thailand for 1.5 yrs for hubby’s work. We have a 2 yr and a 2 month old boy. I’m wondering what your thoughts are on living in a more rural area (40 mins out of Bangkok towards Pattaya) vs high rise in Bangkok. The rural area would be right beside a golf course undergoing full renovation, so acres of clearing land. It has an outdoor kitchen and 2 pools. Is this rural living safe for curious kids to explore. Do you think my 2 year old would be safe outside by himself when it comes to snakes? I am not too scared of snakes but of course, I fear for my children’s well being in general and the thought of venomous snakes possibly biting them keeps me awake at night, now. Are my worries founded, in your opinion? We have the choice also to stay in nice high rise apartment with a rooftop pool in Bangkok. I don’t like cities but this might be safer for my boys safety. There’s a VERY small chance of anyone getting bitten by a snake while you’re here. That said, if you are not somewhat careful, you or someone in your family can be bitten. Your 2 yr old is more likely to be bitten by a dog, cat, or bees than a snake. Still, take precautions and scout the area before you let your child play in the yard – or anywhere. Don’t let kids play in grass where a snake could easily hide. 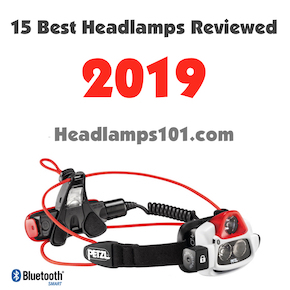 Don’t let your kids run around at night without a headlamp or torch – and again, you should scan the area thoroughly first. It sounds like a lot of effort, until you see the damage a Malayan pit viper can do to a foot. The Malayan pit viper (C. rhodostoma) is really your prime concern. Active at night, but resting on the ground during the day. Read about Malayan pit vipers here. 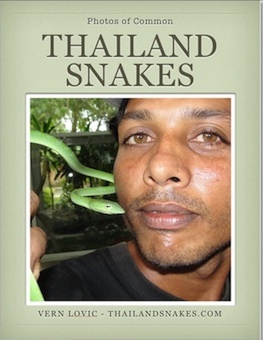 The monocled cobra (N. kaouthia) and spitting cobras (N. siamensis and N. sumatrana) are also snakes to consider. Their venom is neurotoxic and quite dangerous. Read about cobras here. The Siamese viper (D. russelli) is another snake to be aware of. Strong venom. Read about it here. I’ve been in Thailand for over 13 years now. 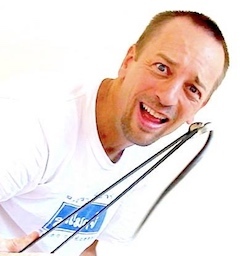 With as much as I’ve seen and heard about relating to snakebite, dog bites, bee stings, jellyfish stings, etc… I think your biggest concern should be transportation and how you’re going to get around safely on the roads. If you’re traveling by car or other vehicle to Bangkok each day – that’s super dangerous. I’d live in Bangkok, myself. Don’t let the snakes come into the decision.